Authorities in Southern California are searching for whoever has been leaving concrete blocks, parking stops, and other debris on an interstate since the start of the year, triggering multiple late-night crashes. 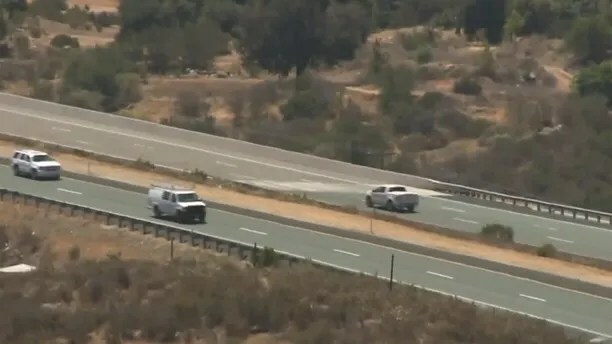 The California Highway Patrol’s El Cajon office said in a news release that between the New Year’s Day and Feb. 7, there were four reports of landscaping retaining wall blocks lying in the westbound lanes of Interstate 8 near Alpine, located about 30 miles east of San Diego. Each incident took place between 10 p.m. and 2 a.m. around Exit 27, and involved the same type of large blocks in travel lanes. “This led to several traffic collisions causing moderate to major damage to the vehicles involved,” police said. When authorities put out an initial press release asking for help finding the person or persons responsible, the incidents stopped. That was until June 9, when CHP said they received a call around 12:26 a.m. of several vehicles that struck a concrete object in the westbound lanes of Interstate 8 by Exit 27, the same area of the previous accidents. “We have a potential for a fatality or a major vehicle collision, and that’s what we are trying to stop before it happens again,” CHP Officer Travis Barrow told FOX5 San Diego. Authorities arriving at the scene on Saturday found 10 vehicles that had bent wheels and flat tires after they hit a concrete parking stop that had been placed in the roadway. 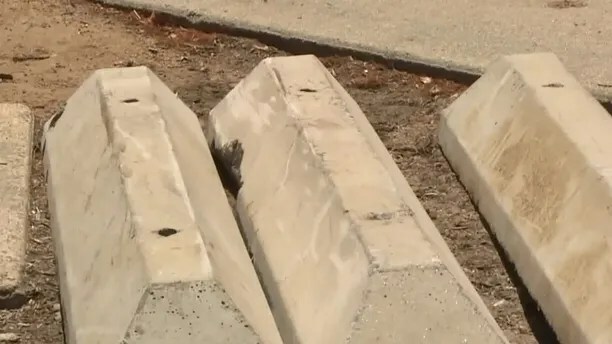 Four concrete parking stops — weighing about 60 pounds — and three cinder blocks were also found nearby. A motorist who was involved in the crash told FOX5 he came across the debris very fast. “Suddenly we saw an object on the road, and we couldn’t change lanes because traffic was right there, so we had to hit it,” a man who identified himself as Mak told FOX5. CHP said that they’re increasing patrols in the area, but there is no information on a possible suspect at this time. The agency urges anyone who has seen anything suspicious in the area to contact the CHP El Cajon area office at 619-401-2000.